Just when I sad that Nestle killed Chipwich; and a reader said try Trader Joe’s knockoff and was disappointed; along comes Cool Haus! 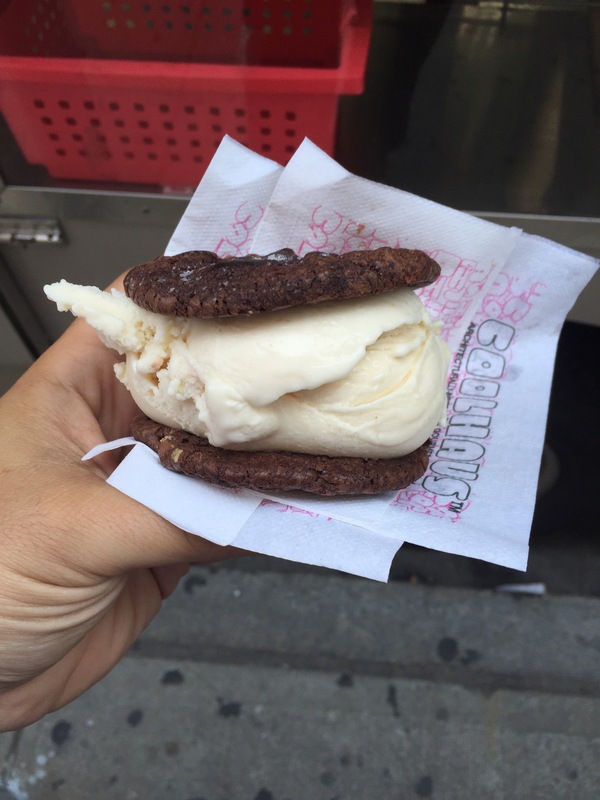 The custom ice cream cookie truck where you first pick your cookie and then pick your ice cream! Bam! Look at the size of that! I do have one grip however! I ordered the peanut butter ice cream and chocolate chocolate chip cookie. It was delicious! However; the peanut butter ice cream in no way shape or form tasted like peanut butter! It was good thought! But; expecting peanut butter it left me disappointed! 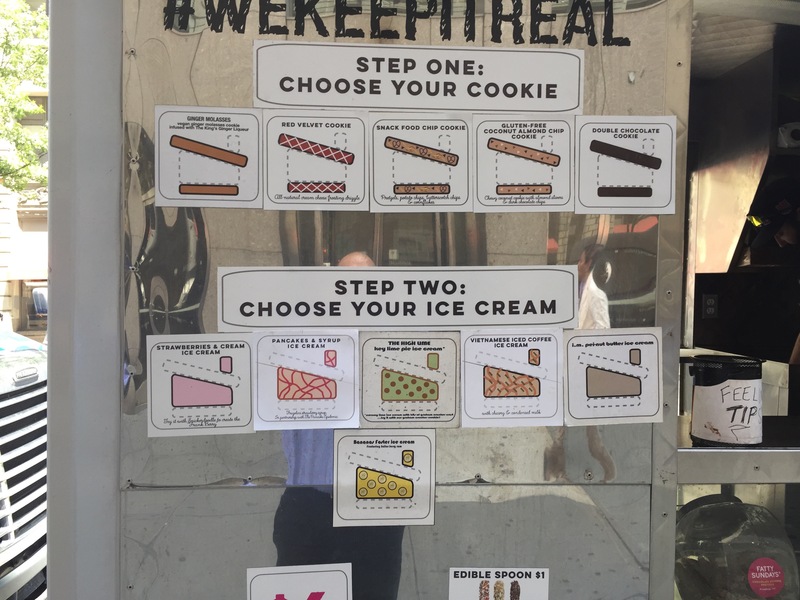 However; the spirit of Chipwich has returned and you can customize it! This entry was posted on July 16, 2015 by louisjbianco. 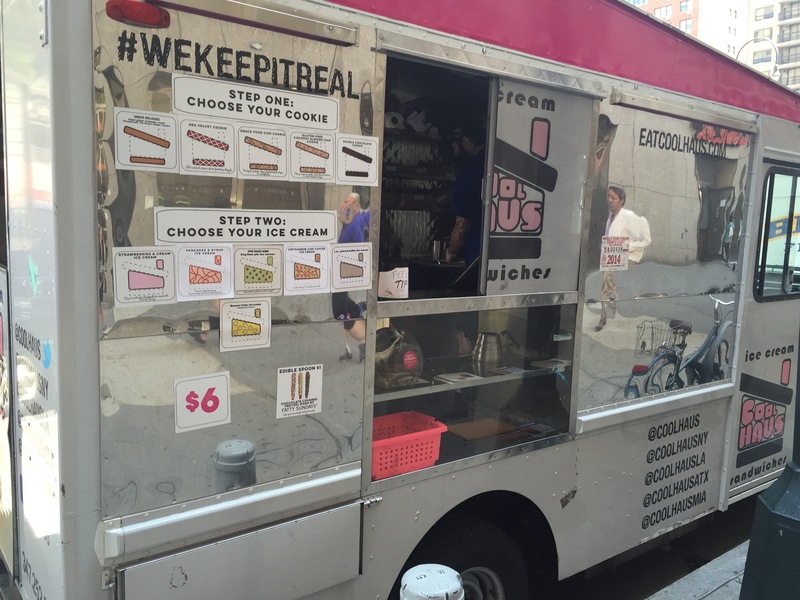 It was filed under Freedom and was tagged with chipwich, cool haus, custom ice cream, Food truck, ice cream, ice cream cookie sandwich, ice cream sandwich, nestle, nyc food truck.